U.S. Flag in use at the start of the Civil War. Used until July 1863 when West Virginia became the 35th state. There was no requirement for the stars to be in rows. 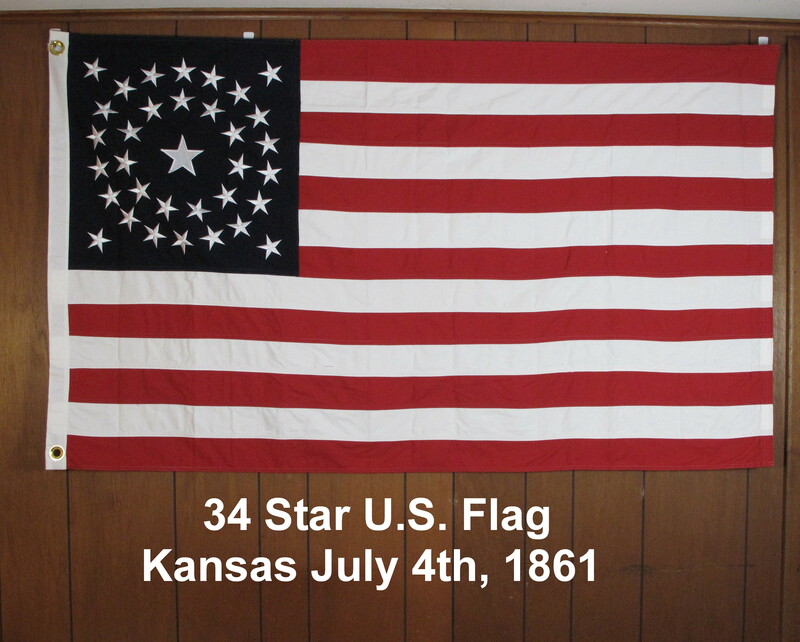 There is a second flag with the stars in 4 rows of 7 and one row of 6 in the center. Beautiful flag. 3'X5' Cotton, cut & sewn. Satifaction guaranteed. 100 % refundable for 10 days after receipt.